AmmoMan.com is your home for bulk ammo with free shipping. We do our best to keep shooters who are serious about range time in good supply of ammunition and that means bulk pricing and what we think is the best shipping policy in the business: if you buy $99 or more of bulk ammo, your order ships free! Check out our in-stock line-up of bulk calibers above and be sure your stock doesn't run low. If you're looking to buy in bulk but have questions about storage - we can help with that as well. 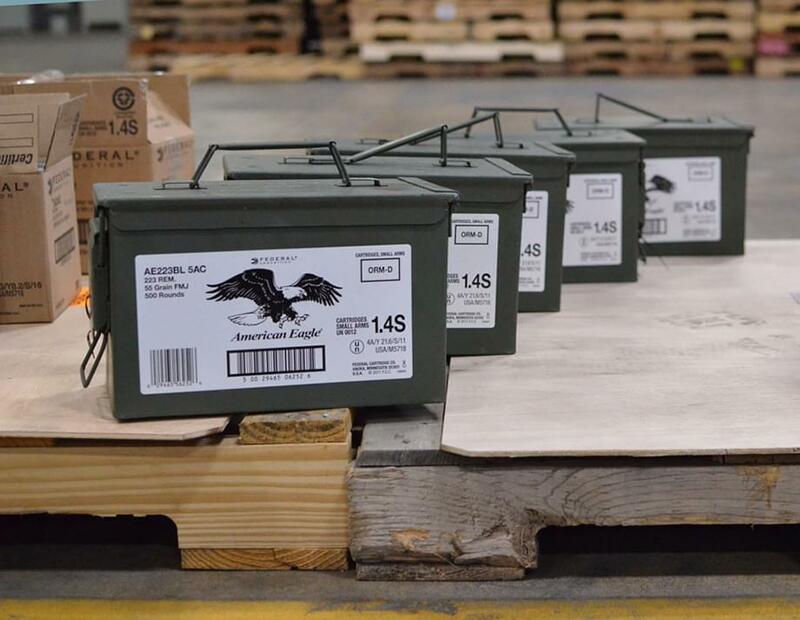 Take a look at our selection of new ammo cans with clean seals and you'll be ready to store bulk ammunition for years effectively. When it comes down to what's right for the budget conscious shooter, you just can't beat buying factory cases in 500, 1,000 or 5,000 round quantities.